Waste stations set up at this year's Ag Fair helped cut down on the amount of overall trash. 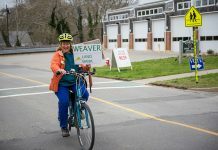 In an effort to cut down on waste and be more environmentally conscious this year, the Martha’s Vineyard Agricultural Fair removed trash cans and set up new waste stations on the fairgrounds. The green tented stations were set up with separate receptacles for landfill trash, recyclable materials, and compost, and staffed with adult and kid volunteers who helped sort food waste and wash material that could be recycled. 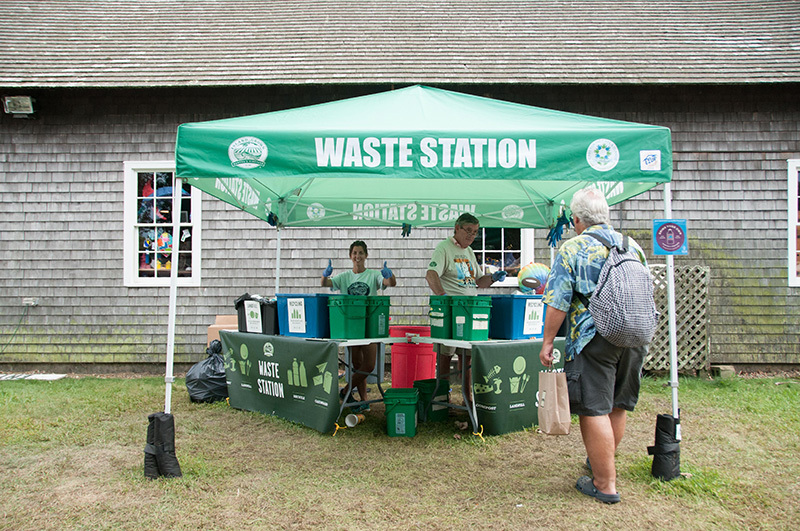 The waste stations were made possible through a grant from CARE for the Cape and Islands, a travelers’ philanthropy initiative that helps tourists to help protect the places they visit. 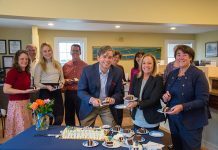 The stations came to fruition through a partnership between Island Grown Initiative (IGI), the Martha’s Vineyard Agricultural Society, Vineyard Conservation Society, and Sail Martha’s Vineyard. The new system reduced trash by 31 percent, close to six dumpsters of recyclable material was recovered, and 6,500 pounds of food waste was composted, according to IGI development manager Emily Armstrong. “We were hoping to reduce trash by 25 percent, so it was great that it is was 31 percent,” Armstrong said. The waste stations will exist in some form next year, she added, and will again be a cooperative effort with other organizations. Excellent job, Isabel! Thank you and congratulations to all the individuals who worked at the Ag Fair Waste Stations and made a not-so-glamorous, but totally honorable endeavor such a success! A really good effort. But something that seems to not getting any attention, is that recyclable materials are currently being sent to land fills along with everything else. I have personally witnessed abc trucks take trash and recyclables and throw them into the same truck. And no, it does not get sorted out later. Getting the food waste for compost works.